IR35 affects all contractors who do not meet HMRC’s definition of self-employment. The legislation was designed to stop contractors working as ‘disguised employees’, by taxing them at a rate similar to employment. The reason for this is that the increased risks and responsibility of contracting, and lack of employee benefits, are why contractors benefit from tax advantages. Therefore if you are deemed to be working as a contractor without accepting the increased responsibilities you will not be entitled to these tax advantages. What do the IR35 reforms entail? So who will determine the IR35 status of the contractors? The legislation puts the burden of responsibility on the entity that pays the contractor, and very often this will be a recruitment agency. However, agencies are unlikely to have sufficient information about the working practices so they will ask the client to give an opinion on IR35 status. The client is statutorily obliged to provide an answer within 31 days. There is little faith that clients will be able to make an accurate determination of a contractor’s IR35 status as the rules are so complex and rely on in-depth knowledge of case law, individual contracts and working practices. Clients that are unwilling or unable to make this assessment for each of their contractors will make a blanket decision that they are all ‘inside IR35’, whether this reflects reality or not. It is also concerning that even though the client gets to decide on IR35 status, it’s possible that agencies can carry a tax liability. The updated rules for IR35 seem to be clear that if a contract is inside IR35, and the entity responsible for paying the contractor (the agency typically) does not deduct National Insurance and applicable tax before paying the contractor, then the agency can be liable for the unpaid tax and NIC payments. What does this mean for contractor recruitment agencies? As has already happened in the public sector, many recruitment agencies are forcing their PSC contractors to switch to umbrella companies, to avoid the additional monies agencies will need to pay. This can impact the talent pool of contractors that an agency can source if contractors want to stay contracting in their Limited Company. Alternatively some agencies have cut rates for limited company contractors who fall inside IR35 to cover these additional costs. The two main ways that limited company contractors/agencies can avoid these additional costs are to push to increase their gross pay rate or be deemed outside IR35. Understandably agencies are fearful about these changes and the potential impact on productivity and profitability, but they should also be keen to ensure that the correct IR35 decisions are being made. If contractors are genuinely working outside of IR35 then it is not in the interest of the agency or client to treat contractors as if they are inside IR35. Inside IR35 decisions can be inconvenient and expensive, so determining the true status of a contractor is vital. 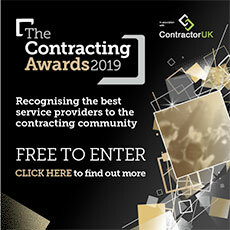 It is also important to remember that contractors offer access to skills and expertise that is not typically carried in organisations on a permanent basis, but who are usually brought in to deliver key programmes and projects. Consider how you engage this flexible workforce, how you treat them and how you will maintain visibility to ensure they continue to be utilised in a manner that does not evolve over time into an arrangement that could put each party at risk. How to make an accurate IR35 determination? Recruitment agencies should start informing themselves on IR35 as soon as possible to prepare themselves and their contractors for the changes ahead. They can start by reviewing contractors already on assignments; assessing both their working practices and the written contracts to determine if their current IR35 status is correct. If an IR35 investigation is instigated then both of these elements will be in question, so simply having a written contract in place which is not the reality of the contractors’ actual work will not cut it. Recruitment agencies should also ensure that they are working with both clients and contractors to determine the true status of a contractor, as not taking into account information from both parties could lead to an inaccurate and biased determination. HMRC’s CEST tool has been designed to assist agencies in determining IR35 status, however the results should come with a pinch of salt, as it has been widely argued that the tool is missing some key factors are missing – specifically Mutuality of Obligation (MOO). Therefore you may also consider getting independent assessments from IR35 specialists. The complexities of IR35 reform and IR35 status determination often lead to confusion, so seeking specialist advice and independent assessments can help you avoid the implications of inaccurate determinations, which are not to be taken lightly.